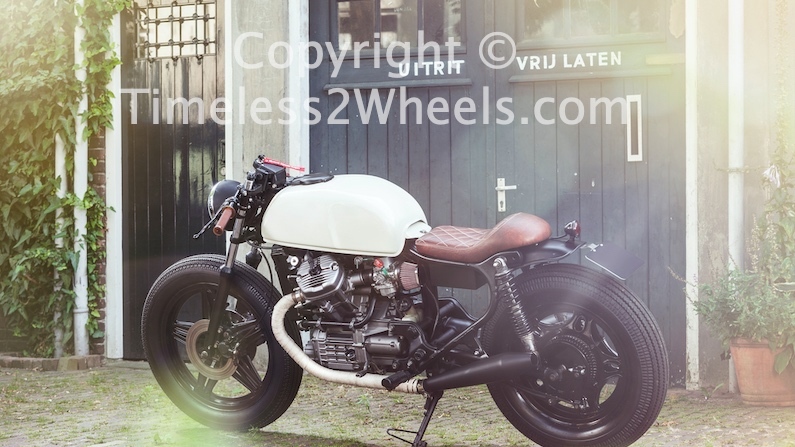 Thinking of building a Cafe Racer? Unless you have deep pockets you will have been trying to work out how much your project would actually cost, I know I have. So, I’ve spoken to a few cafe racer riders and done some research to try and nail down an actual price. The $1200 figure was the result of talking to several Cafe Racer builders. 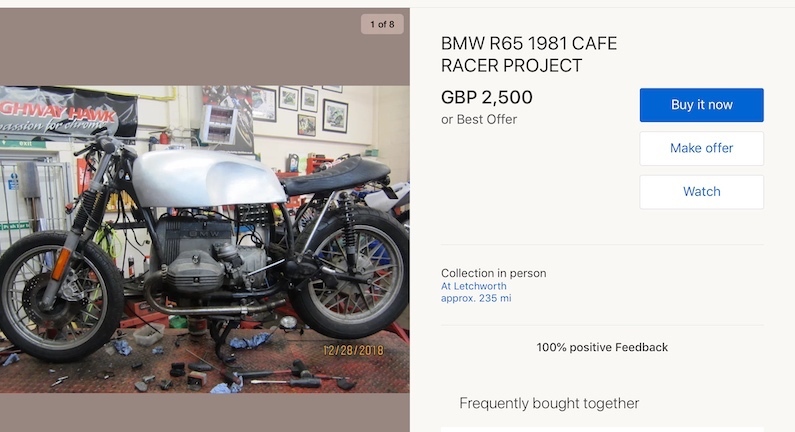 They all agreed that given the right donor bike and with what they had learnt from their previous builds a £1000 budget ($1200) would be enough to produce another quality Cafe Racer. This was on the understanding they would be doing the majority of the work themselves. If you aren’t going to be doing your own mechanical, electrical and fabrication work you should budget for around 3 times that amount or consider one of the other options I’ve covered below. 3 Money Burning a Hole in Your Pocket? This is going to be your biggest decision. How much you spend will depend on what you can afford, what your mechanical capabilities are and how much time you have to invest in your Cafe Racer build. Each is a trade off. If you want to spend $500 on your donor then you better be handy with a welder and be prepared for long hours in the shed. If you want your build started in the Spring and be ready for the Summer then be prepared to spend your cash on a good quality donor bike. 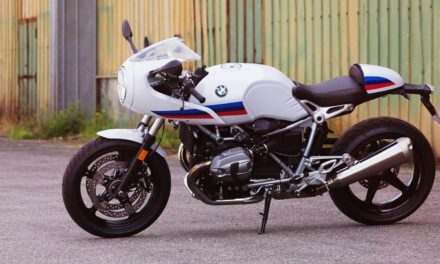 While almost any motorcycle can be converted into a Cafe Racer, some donors are a better blank canvas than others. The ones I’ve listed here are considered ideal choices and with the older CB750 and SR400’s in particular, you can spend as little as you like assuming you have the mechanical skills to recondition the engine and any other work an older model is going to require. The Honda CB750 is probably the most popular Cafe Racer donor bike. These can fetch good money from the restoration crowd. You will save money in the long run with the CB750 because custom cafe racer parts are plentiful and cheap. The easiest and cheapest conversion of all the donors. 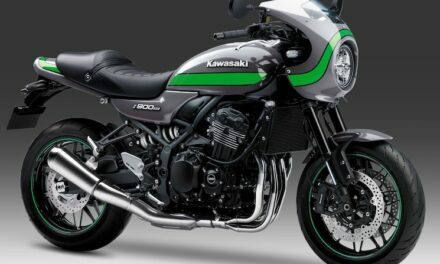 The Kawasaki W800 is a much more modern motorcycle. Launched in 2011, it was built with the classic lines of the original W series of the Sixties to cash in on the popularity of the retro scene. Those looks make it a popular choice with amateur and pro cafe racer builders alike. If your budget will stretch to one the W800 makes for a great Cafe Racer. The Yamaha SR400 first appeared in 1978 and is still in production today. It’s a single cylinder thumper with classic lines and easy conversion. Lots of cafe racer parts available. The Yamaha Virago takes a bit more work to convert but I’m told they are cheap to buy in America so I’ve included it here. I’ve seen several conversions and that V twin engine looks amazing in a Cafe Racer. If you’re confident with your angle grinder and welder the Virago would make a great budget donor. The BMW R series is another popular donor with the custom houses. It does look awesome as a Cafe Racer and the engines are pretty much bullet proof so it’s easy to see why. Money Burning a Hole in Your Pocket? If cost is less of a restriction you might also consider a modern classic that has a Cafe Racer conversion kit available from the manufacturer. 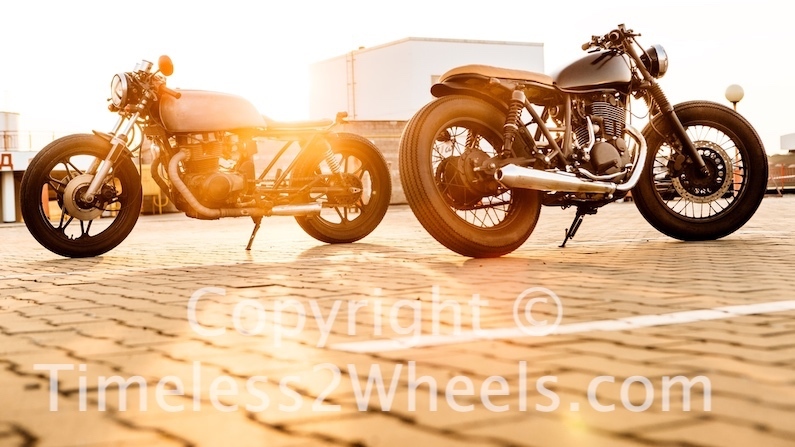 Both the Triumph Thruxton and the BMW R nineT Racer spring to mind. A thoroughly modern, reliable motorcycle dressed as a Cafe Racer. If the cost of building your Cafe Racer is simply a none issue how about one of the historical Cafe Racer classics such as a Triumph, Norton, BSA or even a Vincent as your donor bike for a totally authentic Cafe Racer? The worlds sheds are full of part built Cafe Racers. Builders run out of time, space, money etc. so the bike sits there for a year or two before they finally give in to the Wife and accept it’s never going to get finished. Ebay and the like always have plenty of these for sale. They tend to want stupid money due to the fact they’ve invested a lot of time and hard earned cash. If it’s listed as a classified advert you could make a realistic offer and try your luck. If it’s an auction listing and it’s getting no bids it may be worth making an offer either close to or soon after the auction has ended. At the time of writing this BMW R65 (shown above) was on Ebay UK. It’s a 1981 model and the owner has already spent a fair bit of both cash and time. He’s also already modified the subframe for the pegs, gear and rear brake pedals. The donor was purchased 2 years ago as a running bike. The new owner started the project but no longer has the time to finish it. If you need to purchase a donor bike for your build then it may make sense to consider a purchase like this one to give you a head start. Especially if it’s your first build and you don’t yet have a firm plan of how you want the finished bike to look. Do your homework though. If they’ve run out of cash are the parts expensive? If they’ve simply given up are they hard to source? Always ask if you can have the original seat, bars. While not a deal breaker these can fetch good money from people doing restoration projects. Cafe Racer kits can be found on both sides of the Atlantic for the more popular donor bikes. These kits are designed to be bolt on which means no fabrication is required – something the kit suppliers have realised goes above and beyond most hobby builders. The Harley Sportser Cafe Racer kit from Ryca Motors in California includes everything required to convert any Sportster from 1986 to present. Everything is designed with the home builder in mind. More info here. RYCA also produced the CS-1 Cafe Racer do it yourself kit. Built around the single cylinder Suzuki S40 (also known as The Savage) this is a unique way of building your first Cafe Racer. For under $4000 including the donor you can build yourself a great looking Cafe Racer designed by a NASA engineer. The designer says that a build will take a biker with reasonable mechanical skills around 40 hours to complete. I think this is a great option for a first build. With the kit purchased and donor sourced, there is little chance of your build turning into a never ending project. You’re also going to learn a lot about building Cafe Racers in the process so a future build won’t be half as daunting. Have a look at the video below for more details, Jay Leno seemed to like it. Unless you have experience with a spray gun you should budget for professional paintwork or find a Buddy who can spray. It doesn’t matter how good a job you do with your Cafe Racer, it will always look like an amateur did it if the paint work is anything less than perfect. Get your frame powder coated if your budget will stretch. It looks great and is more hard wearing than paint. Choose your donor bike carefully. If you already own a bike and want to use it to save money make sure it isn’t going to cost far more to convert than actually sourcing and buying a more suitable model. Before committing to a donor bike do some research to see how much both original and custom parts are. Do not be too ambitious with your first project. Ebay is full of half finished cafe racers because the builder ran out of money or simply didn’t have the mechanical skills to complete. Even if you don’t plan on starting your build until next Summer you should start looking for a donor bike now. 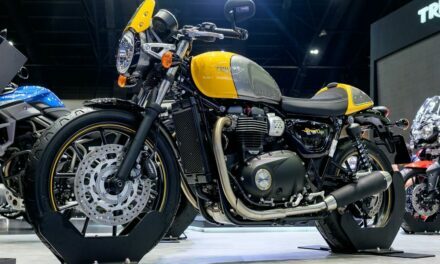 With the boom in Cafe Racers, street Scrambler customs and Bobbers, suitable donor bikes are going up in price. Don’t rush it, take your time. If you go ahead and build your Cafe Racer please come back and let us know in the comments how it went. If you have plenty of photo’s and details of your build (including the cost) please get in touch here as I may want to feature your project here on Timeless2Wheels. NextHow Much Does It Cost To Build a Bobber?